She graduated from the Karaganda State Technical University with a degree in geophysical methods of prospecting and exploration for mineral deposits in 2006. In 2009 she graduated from the magistracy in the specialty geology and exploration of mineral deposits. Works at KSTU since 2009. 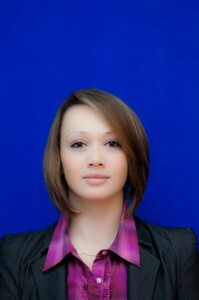 Assistant of the Department “Geophysics and Geology” worked from 2009 to 2011. Since 2011 currently works as a teacher of the department “Geology and Geophysics”. To improve the educational process N. Zhelaevoy. Over the years, more than 20 e-learning publications have been developed at KSTU, including 7 electronic textbooks, 4 multimedia presentations, and a number of slide lectures. Actively engaged in the actualization of previously developed EUI. Also, during the period of work at KarSTU, she co-authored 4 tutorials. Annually Zhelaeva N.V. passes advanced training courses at KU enterprises, as well as under university PC programs; participates in training seminars. Zhelaeva N.V. He is also actively engaged in scientific work through participation in scientific and practical and international conferences, and also manages the participation of students in NIRS. During the years of work at N. Zhelaeva. There are more than 8 publications. From 2010 to 2014 was the curator of the group. Participates in the public life of the department and faculty. Zhelaeva N.V. is the secretary of the department meetings responsible for the preparation for specialized accreditation by an independent accreditation agency and the rating of the IAAR; responsible for the internship of the faculty of the department.